Last week I was browsing my local florist for something a little different to sit in my vase when I came across the most beautiful shimmery house plant. It was green and sparkly silver on the top and bright purple on the bottom....... 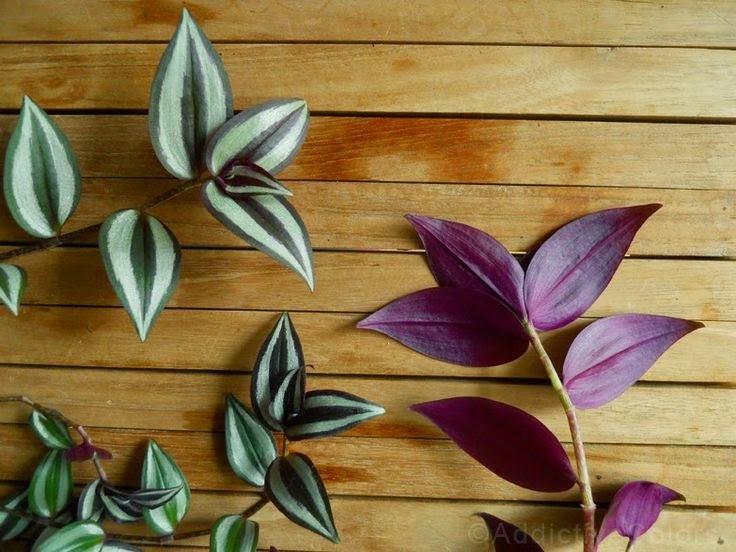 The plant was a Tradecantia Zebrina and it came straight home with me! Site: A bright position out of direct sunlight. Temp: This is a fairly robust plant liking average warmth. Water: Keep well watered in summer and infrequently in winter. Mist leaves occasionally. Feeding: A liquid feed every 3 weeks or so.